UK National Bmx Series rounds 1 & 2 Manchester. 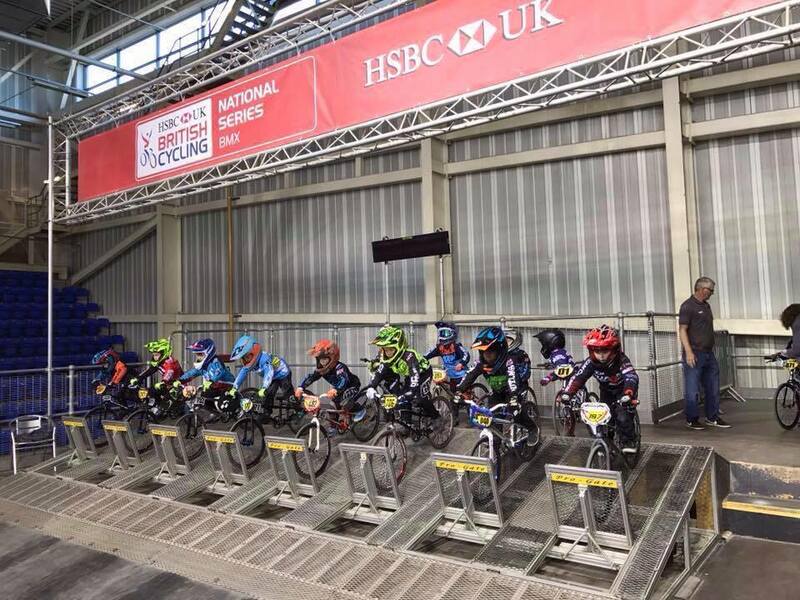 This is the first time BCBC has been represented in the UK Bmx national series. 2 riders made the trip. 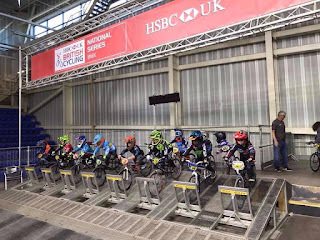 Jamie Harron under 6 years, Jamie joined the club after one of our outreach days at Blythfield and 6 months later he's on the start ramp at the British National Series. Jack got a 4th and 6th in motos on Saturday's round 1 a good result after a long break. Unfortunately in Sunday's round 2, Jack crashed out ending his day, better luck next time. Sorry we don't have all the details of this event so if anybody has seen some more pictures of our two riders please let us know.